Don't risk dangerous explosions of your stock flywheel when increasing rev range by removal of governors on your Honda clone engine. 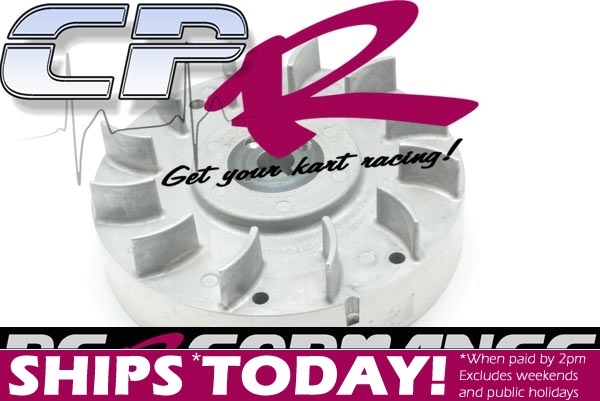 Get one of our CPR Performance alloy flywheels and comply with all race regulations. 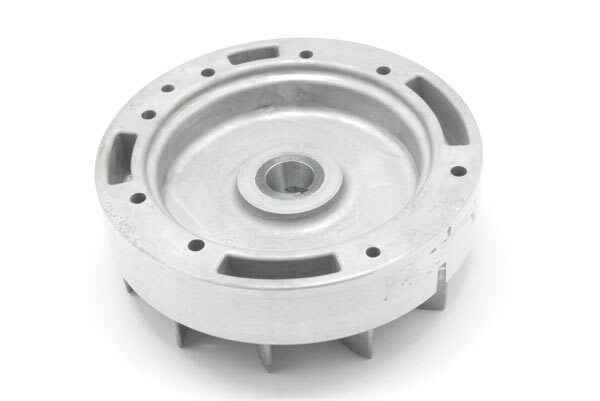 Flywheel, Cast Aluminum for Racing, PVL Mfg, 28 BTDC PVL is known for making quality flywheels. This flywheel is dynamically balanced and has been tested by PVL at 17,000RPM and an independent company in the USA at 15,000RPM. The steel center hub adds durability to keep from damaging the taper. The center hub also has tapped holes for the use of a flywheel puller. This flywheel can be used with the standard coil and a gap of .038-.040" should be set. 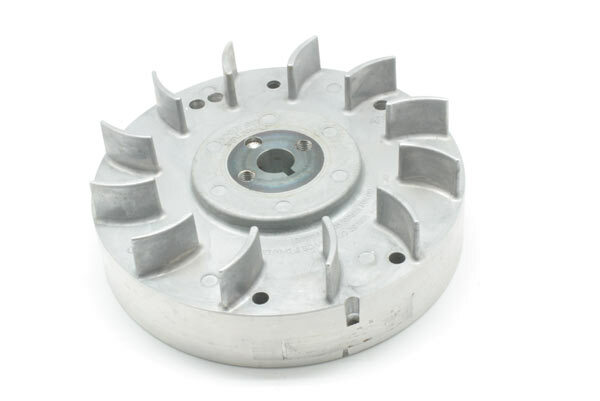 The fin design allows this flywheel to move a very high volume or air. It is recommended that you leave only 1 of the blower housing recoil air intakes open. If more cooling is desired then the tape can be removed. The engine will perform best when you have the right amount of cooling to keep the engine from reaching an excessive temperature.